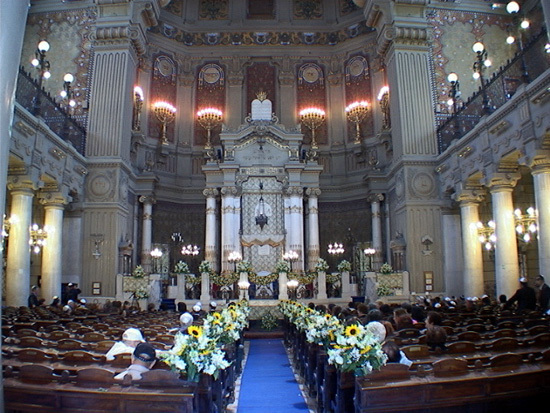 The Great Synagogue, the main synagogue in Rome is one of the largest in Europe. 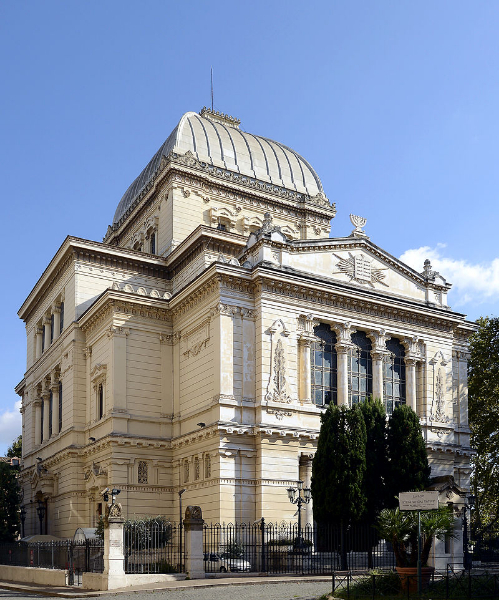 Externally the synagogue has a square base, surmounted by a large dome, the walls have a sand-colored. 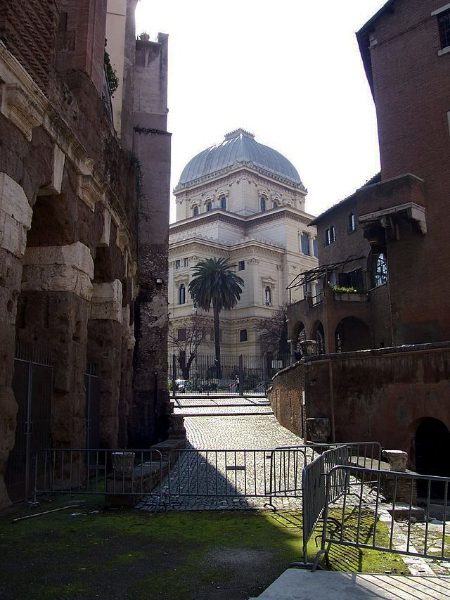 Home to the rich museum of the Jewish community of Rome. 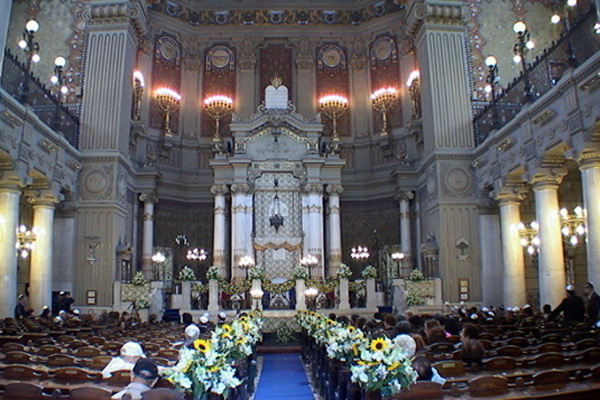 The entire interior of the synagogue, including the dome, is richly decorated with oriental motifs.